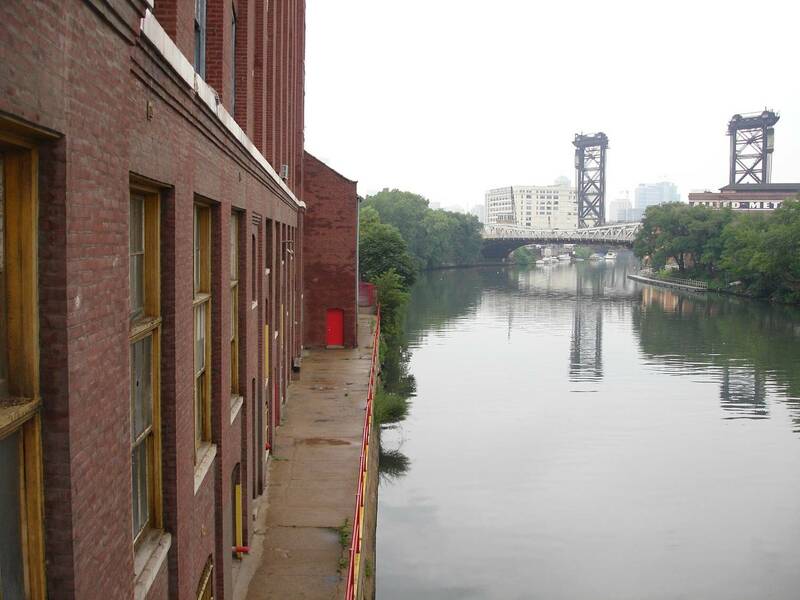 In With the Old: Can Chicago turn the Spice Barrel District into a creative center? Chicago needs this. A grouping of four huge old buildings on the Near South Side will become, hopefully, a new Creative Industries District. This district isn’t simply an art gallery stroll, nor is it merely a rehabbed warehouse for artist studios. The proposed redevelopment plan is so big and ambitious—perhaps bigger than any current mixed-use art space in Chicago, 800,000 square feet in total—that galleries and studios will be just a small fraction of the big picture, if at all. You don’t need to see it to believe it—because there’s not much to look at yet—but the future will spurt from this dust-caked shell of salvage, a sun-baked hulk of hundred-year-old bricks and broken windows. A picturesque ruin, perhaps. This is what condominium developments look like before the granite countertops and cast-iron balconies roll in, but no dream condos will be constructed here, and anyway, the kitchen-table art economy hasn’t gotten us much further than the front room. We won’t be art-gallery squatting in the near future. The near future has a budget, a committee, actually several committees, licensing forms and tax forms and applications, and a dada poem of acronyms—ULI, NEA, LISC, DCA, TIF, CMAP—that sounds like government bureaucracy BS, the type that we like to knee-jerk kick in the nostrils, but this time we’re going to sit on the shoulders of Big Brother. This time he’s got our back. The Department of Cultural Affairs is working hard to organize a multidisciplinary creative workspace for artists, artisans and entrepreneurs. This could include the traditional suite of artists, sculptors, photographers and printmakers, but also graphic and web designers, musicians, dance groups who need practice spaces, filmmakers, architects, fashion designers, theater technicians, and even the culinary arts. Such a collection of original thinkers and skilled makers, it is hoped, will energize the whole city. The Spice Barrel District, as the development is sometimes called in acknowledgement of two historical manufacturing plants here—a spice importer and the maker of Chicago’s water tanks—sits on riverfront property, with three vintage buildings on the Pilsen side and one across the river towards Chinatown. As it stands now, the area isn’t a place where you want to spend much time, with broken glass crunching underfoot and speeding semis on Cermak Road. Wearing your artist goggles, though, it’s not so difficult to visualize the site’s potential. You get the best vantage point coming from Cermak Road. There, the three vintage brick, concrete and timber buildings sit on a fork in the road, and this triangular shape creates a sense of big open space. Turning west on Cermak will take you to the fourth building, over the river on a fabulous old bridge, which looks to be made by an engineer who dreamt about modernist sculpture. “Cities need old buildings so badly it is probably impossible for vigorous streets and districts to grow without them,” wrote urban-planning maven Jane Jacobs in 1961. These four old buildings provide not just large, raw, malleable spaces that can be adapted to a wide range of work practices, but they also lend a great sense of character and ambiance. The Spice Barrel District is “one of my favorite places in the city to be,” says cultural historian Tim Samuelson. Treeless pockets of decaying industry may not make everyone’s list of favorite spots in Chicago, but from inside the buildings, looking out over the unobstructed skyline, Samuelson, who is co-author of “Unexpected Chicagoland,” is able to clearly see the site’s history and its rightful future, its structural quirks and the massive plan that his colleagues at the Cultural Center are undertaking. 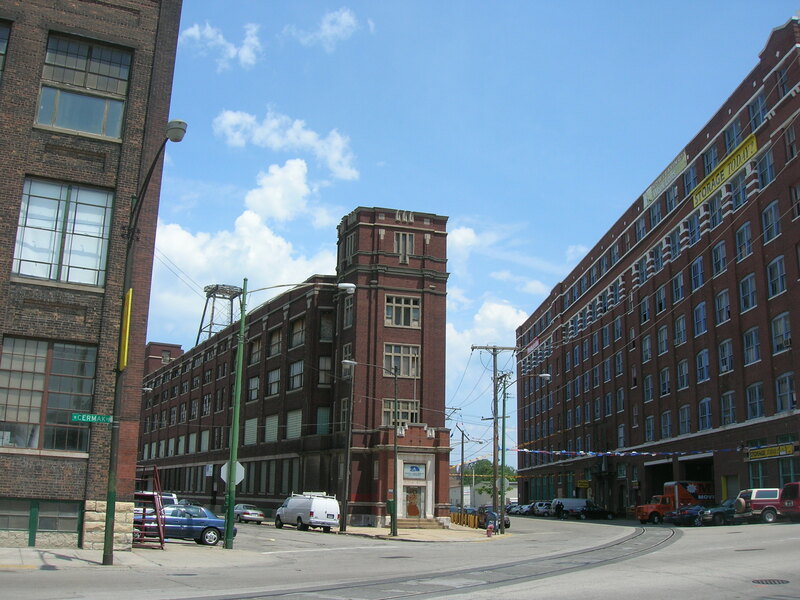 Samuelson championed this small bunch of old factories and warehouses in 2006, and succeeded in designating it as an official Chicago landmark. The site itself is easy to miss. It’s the last-remaining parcel of what industry in Chicago looked like a hundred years ago when trains and boats bustled along the river, and the architecture, built for functionalism, features quaint vintage details. However, Samuelson’s small feat of acquiring landmark status was a masterstroke of foresight. As a landmark, the four structures sit on a piece of land that cannot be rezoned for residences, which sets up a symbolic electric fence against the tentacles of condo development. This is just the first step in securing the site for a protected and enduring creative industry district. Next, Samuelson handed the keys to Barbara Koenen, artist, director of Chicago Artists Resource, and his wife. Artists take note: By now you’ve built small creative communities of your peers in the city and on Facebook and Flickr, but there’s a behind-the-scenes class of civic organizers who, often maligned because they’re improperly lumped-in with our problematic city government, are working overtime to build Chicago’s next art frontier. Even a group of super-motivated citizens would eventually have to turn to the DCA for any similar proposal, but “no one else is doing this,” says Koenen. The city’s tradition of do-it-yourself art spaces, no doubt self-empowering, has a reputation for invisibility. This, here, now, is the opportunity to evolve, and it’s coming—happy surprise—from the City of Chicago. The development of the arts district will continue to swing through a daisy chain of committees, civic and arts leaders, and urban planners. At the helm with Koenen is Julie Burros, director of Cultural Planning at the DCA. Where Koenen is a great organizer of the city’s artistic life, Burros specializes in figuring out which licenses and zoning laws they must secure in order to create a legitimate arts industry district. The reason that alternative art spaces have trouble getting noticed or having an impact nationally, and even internationally, is because they’re doing it wrong—that is, often unsupported by people who know how to run a business, and sometimes illegally. Out of sight, out of mind. Julie Burros is figuring out all the complicated fine print and zoning laws so that we don’t have to. 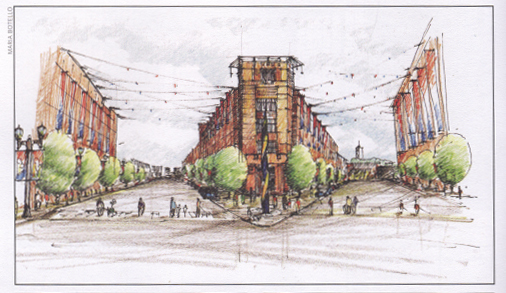 Once established and functional, the Spice Barrel District will be a dedicated place for creative growth. The project plan includes assistance for the underground to go mainstream, and to keep from getting stuck in the spin cycle of history. Burros, Koenen and team plan to launch a small-business incubator, modeled on the Industrial Council of Nearwest Chicago, a non-profit group that operates an incubator in a full city block at Fulton Market and Carroll. The ICNC helps both start-up and established businesses to innovate by providing below-market rent, support services such as creating a business plan, licensing, networking and more. Instead of blindly opening up a storefront, entrepreneurs from any business sector can congregate at the ICNC to develop ideas with their guidance. A major part of their operation stresses the importance of the community that becomes created when diverse people come together under one roof. The Spice Barrel District hopes to build at least one similarly positive support service like the ICNC’s incubator. Burros and Koenen tossed around some ideas: mentorship; micro-lending; establishing a cohort of peers. This summer I visited the 798 Art Zone in Beijing, a sprawling arts district on the campus of former munitions factories that Koenen and Burros point to as a source of inspiration. 798 was rapidly embraced and filled by Beijing’s art community. There’s tons of public sculpture, art spaces, studios, cafes and bars, and it was packed full of people. The mixed-use district attracts people who are even just marginally interested in the arts, and it felt great to walk around there. Like the Spice Barrel District, 798 grew, at first, as a spontaneous collection of squatting artists in a historic piece of architecture. Bauhaus-designed factories with huge, half-curved ceilings provide a dramatic background for everything that happens inside. 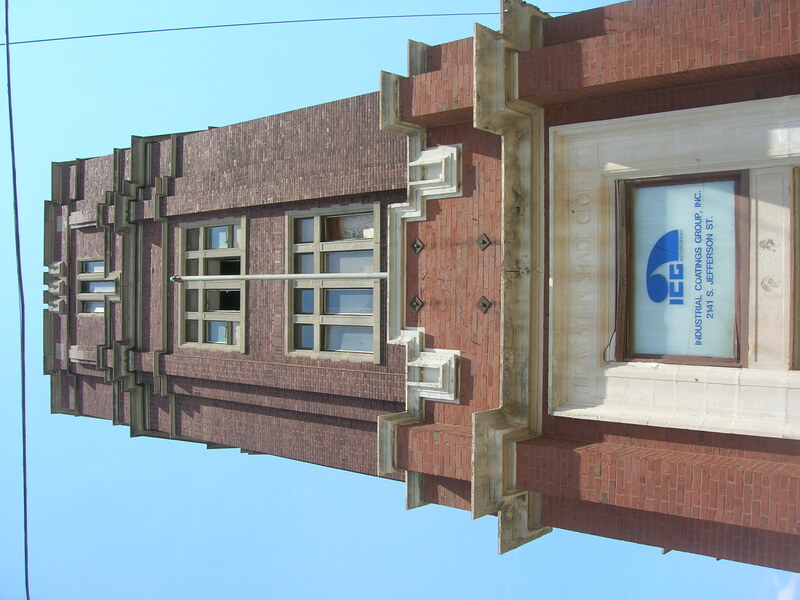 Rather quickly, the Chinese government stepped in to support and maintain the art zone. I went to 798 at the advice of Wu Hung, director at University of Chicago’s Center for the Art of East Asia, who tempered his suggestion with a warning about the site’s creeping over-commercialism. This is a common criticism of 798, that it developed too fast and the government’s hand was too heavy pushing it towards cultural tourism. Spice Barrel will be geared more toward art workers than tourists, but I fear that it will face similar criticism. There’s an assumption that too much attention garnered on the arts by both the public and the government will sully the purity of artistic creation. Perhaps it’s a holdover of the culture wars in the 1990s, in which the NEA was faulted for granting the arts too much freedom. In a November, 2009 article in the online magazine Stockyard (unaffiliated with the Stockyard Institute), writer Emily Bernhard criticizes the Podmajersky family, who created the Chicago Arts District development, which is just a few blocks from the Spice Barrel. Bernhard faults the real-estate developer for cultivating “creative entrepreneurs” in Pilsen by lowering rents to facilitate artist-run storefronts. “Who is this artist,” asks Bernhard rhetorically, “who chooses to be an artist in the interest of establishing a cottage industry of financial gain?” It’s alarming to read this, but the assumption that an artist with entrepreneurial aspirations, or even an artist who earns money, is not welcome in the art world. This may be one reason the arts sometimes seem inconsequential to contemporary life, and why awareness of creative industries is so important for change. When I read that a hotel developer was seriously eyeing one of the Spice Barrel District buildings, reported in the Sun-Times in June, I got anxious. Won’t a hotel go against the ethos of an arts district? The hotel is “not incompatible with uses we’re envisioning,” says Burros. In fact, a hotel, retail shops and cafes could increase attention to the site, and lure visitors there. “We could work with it either way,” says Koenen. Whatever happens, she says, “we’ll approach it with creativity.” Tramping around the proposed hotel site, it’s difficult to imagine either business or leisure tourists here, even though it is so close to Chinatown. There’s a lot that needs to be refurbished here before a hotel can celebrate a grand opening. It’s a little early in the game to know how things will pan out, but Burros and Koenen’s positive response to the hotel revealed the open-minded approach they’re taking with the project. Over time, the demands of creative enterprises change, and spaces will change, and they’re okay with this. The arts district’s pro-forma budget, drafted in 2007, bottom-lines at 103 million dollars. They’ll rely on two-thirds of this estimated cost, or sixty-six million dollars, to come from income such as rent and developers—there is no intention of city-owned buildings to operate here. Instead, they will lure investors to develop the creative industries and offer incentives, like the small-business incubator, to seed the site. The budget’s remaining third will be cobbled from an assortment of tax credits and grants. This July, the project received a quarter-million-dollar boost from the National Endowment for the Arts, under the direction of chairman Rocco Landesman as part of a new initiative to help create arts-oriented public spaces in cities. Attaching the NEA’s logo to the project gives it a bit of credence, and the grant will be used to survey the creative population in Chicago. What sort of spaces do fashion designers need? What sort of technology infrastructure will web designers require? This is a blend of bottom-up input and top-down oversight, explains Koenen. The last time the DCA received a similar grant to survey Chicago’s creative population, ten years ago, the Chicago Artists Resource was founded, including a resourceful website and support network of expert lecturers, headed by Koenen.